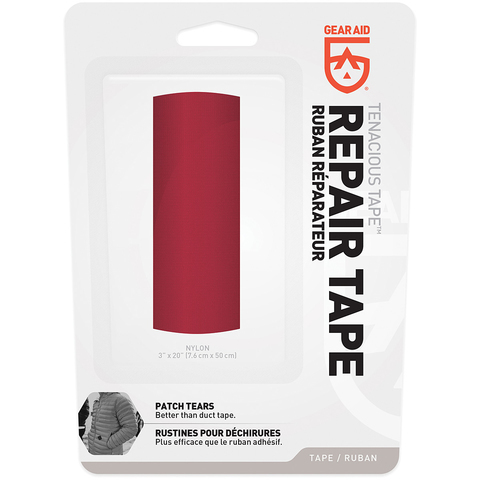 Tenacious Tape by Gear Aid is a repair tape that fixes rips, holes and gashes in almost all outdoor gear. It stays put no matter what Mother Nature dishes out and leaves no sticky mess. Tenacious Tape comes in black, clear and popular colors, so you can match your fabric for nearly-invisible repairs.